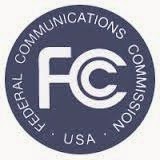 Several thousand amateur radio license applications were waiting for FCC staff members when they returned to work after January's partial government shutdown, but they quickly worked through them. The ARRL Letter reported that the ARRL VEC alone had some 2700 applications awaiting FCC action. It said the FCC told volunteer examiner coordinators that it might take weeks to get caught up, but the staff actually achieved that goal in a matter of days. As this is written in early February, there is still the chance of another government shutdown on February 15, if Congress and the President cannot agree on border security provisions of a funding bill.